Planning a party? Let us help you with that! Whether you are hosting an intimate party of ten, or have a crowd of one hundred, we have the solutions for you. Let us help you think outside the box to host your best event yet. We offer a huge selection of all the party rental items that you may need, including: tenting of all sizes, flooring, lighting and temperature control equipment. Our inventory also includes a full line of rental tables, chairs, china, linens and catering equipment. We even offer casino rental games, and with our experienced dealers, this makes for a fun, interactive party! Depending on the size and theme of your party, you may decide to host your event outside of your home. We have a variety of tents that would help you accommodate your guests. If you are worried about the weather being too chilly…we have heaters! Another way to dress up your event is by utilizing our new farm tables and x-back chairs that would look amazing with fall and winter décor. 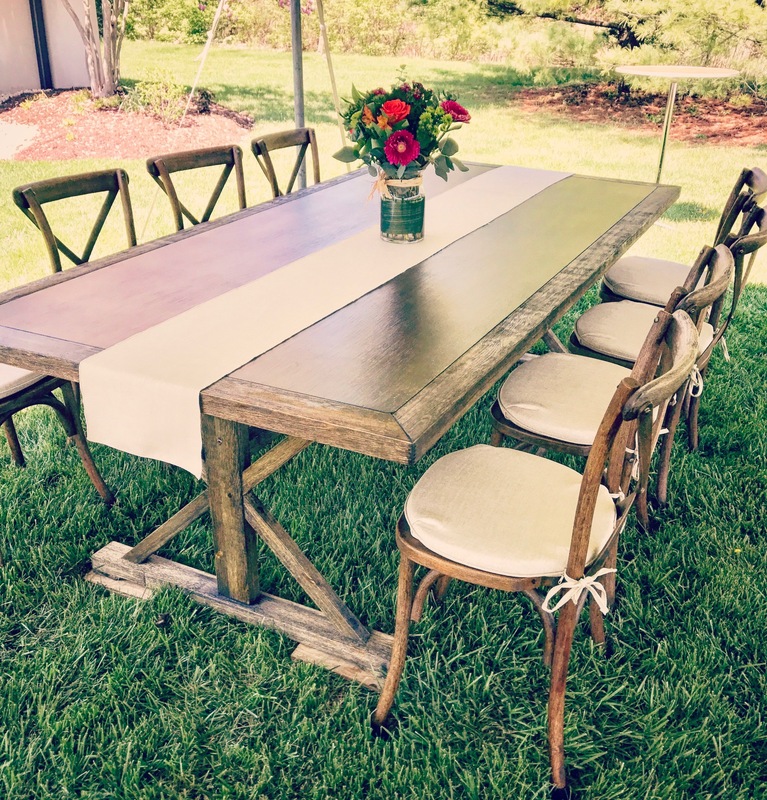 These beautiful tables do not need table covers and add an elegant rustic look to your party. The Alleen Company has the inventory, knowledge, and experience of event planning to assist you with all of your rental needs. Partner with us and have a stress free planning experience. Call today to speak with an event specialist about your next event. It’s never too early to start planning a party! (513-769-0393). Grab Your Sneakers And Get Involved With Your Community!